Does social media empower patients or confuse them? That was the question posed at an event held by Brandcast Media as part of Social Media Week London yesterday (no, me neither). I was chuffed to be invited to attend by Diabetes UK whose 'Digital Engagement Executive' the irrepressibly perky Amy Burton was speaking on the panel. Alongside her were George du Toit a Paediatric Allergy Consultant, Andrew Schorr 2x cancer survivor & founder of Patient Power and Sneh Khemka, Chief Operating Officer of Advanced Oncotherapy. Charlie Grieve, Brandcast's CEO holding the reins and gently steered the conversation. 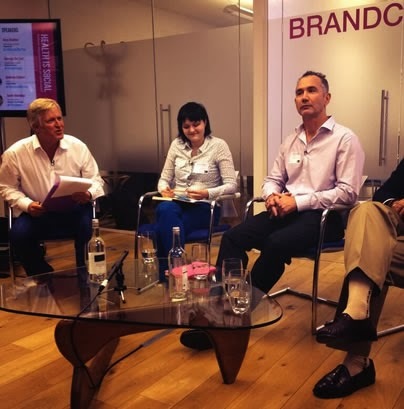 When I arrived at Brandcast's groovy offices just off Regent Street the room was already filling up with a heady mix of cool and confident Social Meeja types, healthcare professionals and charity representatives. By the time the discussion started it was standing room only. I found a quiet spot and spent a few moments debating whether to avail myself of the funky Moleskine-esque notebook in Brandcast's signature bright pink. I gave Amy some encouraging smiles and nods. As expected there were some concerns raised over the nature of some of the 'advice' in circulation in the FaceBlogTwit-o-sphere, over privacy and the potential (mis)use of data shared over social media, some of which can be quite staggeringly personal and sensitive. The general feeling though was that patients are making their own individual decisions about what they share with whom - and many of the online communities (from my perspective I would say particularly the DOC) are quite good at self-regulation, suspicious of 'miracle cure' nonsense and take all content with a healthy pinch of low-sodium condiment. I suspect that quite a few in the audience were interested in gaining insight into how to 'leverage' social media channels (sorry, terrible industry phrase) on behalf of healthcare clients, private health providers and Big Pharma, it was encouraging then, that the panel recognised the crucial nature of transparency in these interactions. These online communities exist and are powerfully helping patients, but they are savvy, often fiercely independent and quite naturally suspicious of commercial interference. They will very quickly smell a social media rat if businesses come rampaging in with a clumsy marketing agenda. It was great to hear the two healthcare professionals on the panel speaking so enthusiastically about their own use of social media in clinical settings (which seems to be on the increase as newly qualified HCPs come through who are already engaged in social media). Additionally there were some tantalising some glimpses of what might be coming next. For instance I had not heard of 'Watson' a computer system that is, apparently, better at diagnosing cancer than many doctors because it uses a constantly-updated database of research and evidence rather than relying on what it can remember from medical school and what Dr Sheh described as 'your own experience, prejudices and preconceptions'. What we need, he suggested, was the computer to number-crunch the data and evaluate the most likely diagnosis based on all the available evidence but then a sensitive, compassionate medical professional to interpret/relay that diagnosis in the light of the individual person in front of them. The final question for the panellists was, 'What one change would you like to see?'. Half the panel wanted to see more involvement from healthcare professionals in social media communities, while Sneh Khemka rather pragmatically suggested that giving interactions/consultations over social media some sort of tariff so that healthcare professionals would come to see them as 'proper' earning work would be a sure-fire way to drive that. Disclosure and all that. I wasn't paid to blog about this or attend the event. Diabetes UK kindly paid my train fare and Brandcast Media gave me a nice bottle of beer and some tasty nibbles at the end of the event. I decided against taking the notebook. Too busy even for the introduction? Click here! OK. Enough really is enough. Over the past 24 hours I have seen a *lot* of comment about a piece published in a major online newspaper site yesterday. 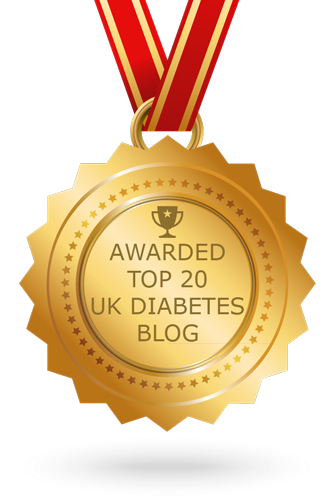 It is a site that often seems to struggle to get the basics of diabetes the right way around - and it is not the only media resource to struggle, not only that, but TV and movie scriptwriters usually get it just as wrong too. I guess it's understandable... before diagnosis I knew *nothing* about T1 Diabetes either. But if you are going to write about it, it would mean an awful lot to all the people living with the condition if you could just spare 30 seconds to get your head around the basics first. "Sarah P, 36, ordered a Big Mac from the fast-food chain last Friday and used her EpiPen to inject herself with insulin to increase her blood sugar level before tucking into her meal." 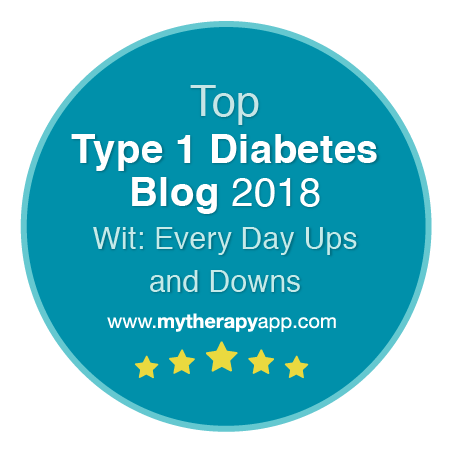 Type 1 diabetes accounts for ten to 15 per cent of all people with the condition and if they do not inject enough insulin through the day it can lead to a state called hypoglycemia." I've marked the obvious errors in italics. Inaccuracies that might cause fatalities elsewhere if someone decided to be a 'have-a-go First Aid hero' are marked in bold. I am given to believe the full article contained many more. I realise that journalists are busy people, so I've put together this 30-second guide to Type 1 Diabetes. That's a full five seconds per bullet point and five seconds to rest at the end. 1. Type 1 diabetes is an autoimmune condition unrelated to diet or lifestyle and while commonly diagnosed before the age of 18 can occur at any age of life. 3. Insulin drives blood glucose levels down. 4. Carbohydrates (especially sweet/sugary/non-fatty foods) push blood glucose levels up. 5. Almost all 'emergency' situations the public will encounter are likely to involve LOW blood glucose, treated by a sugary drink, glucose tablets, fruit pastilles or jelly babies. Administering insulin under these circumstances is potentially fatal. So there you go. Not too hard was it? Feel free to pop off and have a celebratory tallskinnycappufrappuwhatnot. It's all about the balancing act to keep the little green ball in the diagram above centred between the two bars of nastiness. Too much insulin and blood glucose can fall to a level where the brain cannot function properly leading to confusion and sometimes convulsions or unconsciousness. The remedy is simply to raise blood glucose levels with something sweet. Preferably liquid. Hypoglycemia, low blood glucose (if you still don't get it, think hypo-allergenic) is usually swiftly treated by the person themselves, but if you come across a Type 1 behaving very oddly or aggressively, not making sense, slurred speech and sweating profusely - the chances are all they need is a few swigs of Lucozade and in 10 minutes they'll be as right as rain. Hyperglycemia, high blood glucose (still struggling? think hyper-active) is usually caused by either too much food or not enough insulin. It is annoying, but does not usually present any immediate danger - apart from the fact that the T1 in question is likely to be a bit grumpier and thirstier than normal. Long term though, over several years, it can cause all sorts of nasties... blindness, amptuation, stroke, kidney failure, neuropathy and a host of other 'diabetic complications'. Of course there's quite a bit more to it than that, and before anyone chips in, yes of course I realise that there are some very urgent medical situations that involve high blood glucose levels leading to DKA, but let's just get the basics in place first and then work from there eh? If you are hungry for more detail you could always download the Diabetes UK "Reporting on Diabetes: A Guide for Journalists"
To state the ridiculously obvious - Type 1 diabetes is not always very easy to live with. The relentless requirement to monitor, juggle and account for a hundred-and-one variables (food, doses, exercise, weather, stress, hormones... you know the drill) while trying to live a relatively normal life day to day can be quite a frustrating business. It is a great comfort to know then, that we have a number of ferociously clever and wonderfully kindly professionals that we can regularly visit who are dedicated to supporting us in our daily battles with the big D. Most of us will only get a precious few hours a year to receive this input, so it's important that we can make it count. A month or so ago someone who I consider to be quite a good friend (which is odd really since our contact has only ever been of the remote and electronic variety) shared an experience of an appointment with a young and perky Registrar which, from what I can gather didn't work out too well. I think it's fair to say that my friend has now - some weeks later - just about managed to come down from apoplectic-teeth-grinding rage into the significantly calmer strangers-crossing-the-street-to-avoid-thunderously-angry-expression. First impressions count. I've met a lot of HCPs for first-time appointments and you would be surprised how many don't introduce themselves. It's a busy clinic, I realise I may never see you again, but it would be nice to know who you are. Please, please, please just take a moment before I come in to skim read my file. If you are checking that information is up to date then be a bit careful of how you ask those questions. "So... you have type 1 diabetes?" might seem innocent enough, but some people you will be seeing might have been living with their condition for longer than you've been alive - so it's not really a question that needs to be asked. 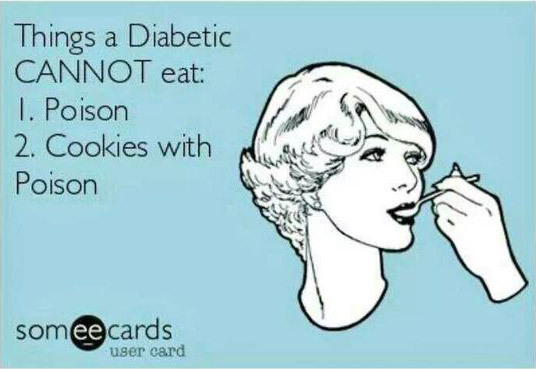 T1D isn't really something that's going to go away. Know my type. Know how long ago I was diagnosed. Know what direction (if any) my HbA1cs have been moving recently and what insulin(s) I am using. If you are checking records for accuracy and up-to-dateness, tell me that you are checking. Otherwise I'll think you are an idiot. I have identified a problem or issue and I have no idea what to do about it. I'm hoping for suggestions. I have identified a problem or issue and I am working on it. Your suggestions might be something I've already tried and found not to work. I have identified a problem or issue and I think there's a gadget/change of insulin that might help. I know things have been going OK recently and just want my results, thanks. I know my results are a mess and hope I'm not going to get some kind of telling off. Don't you understand how impossibly difficult this is to do day to day? I'm past caring, nothing I am doing seems to make any difference and previous clinic suggestions have just made it worse - I would ask about psychological support, but what's the point? I don't have time for this and want it to be over as soon as possible. You will need to develop a forensic, interview technique to glean from my merest eyebrow twitch which of those states-of-mind I am in. Alternatively - you could just come right out and ask me at the start - there's a thought. Ask open questions, be interested in the answers. Diabetes is not always textbook, you may know a lot about diabetes that I don't, but I'm the one muddling along with my diabetes 24 hours a day. As we say in the DOC - Your Diabetes May Vary. Most often I'm not expecting you (or even wanting you) to give me definitive answers, but rather to suggest strategies, principles or techniques that I can try out. And be asked about what sort of level of support and follow-up I want. I am not my numbers. I am not my A1c, my high this day, my low that day. These are information, but they don't define me and certainly don't necessarily represent the amount of effort I am putting in. Ask me what I'm aiming for, and why. If you think my A1c is too high or (too low) don't say anything until you've found out what I think about it. Ideally you've already picked up some story-so-far clues from my file (see 'Hello'). There is always ALWAYS something to improve. I want us to work together to make my numbers just a little bit better by the time my next appointment comes around, but I don't need telling off. Ever. Questions are your friend - I know you know this already, but it is worth restating nonetheless. Ask me what I am looking for. Find out what I am already doing (or considering starting) to try to reach my goals. That way you'll be in a better position to give me some really helpful pointers. You'll realise, of course that I may have come in with my guard up. You might have to tease the truth out of me, but asking the right questions will make us feel like more of a team - that you are on my side. Be especially careful if I have brought in any information, charts, print-outs and so on - you would be astonished how often these carefully prepared sheets are simply brushed aside. Pay them attention - ask me if there's anything I've spotted that needs looking into. If you spot what you think is a pattern, ask me whether I think it is significant and if not, why not. 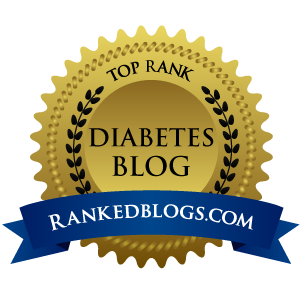 Sometimes type 1 diabetes is just random and frustrating, but a fresh pair of eyes and a healthy discussion about tactics and options can be just the thing to open up a new line of experimentation. Think of yourself as a top-flight Premiership football coach. Talk to me about strategy, technique and tactics rather than how far to kick the ball. You may be up to speed with all the latest diabetes management techniques and fully immersed in decades of diabetes research. As a long-in-the-tooth patient, you would be forgiven for believing that with all my years of experience I am bound to have come across all this knowledge already. Carb counting... basal testing... dawn phenomenon... difficult foods... correction and insulin:carbohydrate ratios... I may know about these, but ask a carefully phrased question to assess my current approach to challenging day-to-day management situations in order to fill in any blanks I may have in technique and understanding. Once again the questions are crucial - otherwise we are into dangerous chicken-ovulation-inhalation territory. Obvious really. But few things will sour our fledgling relationship quicker than you assuming that I have no idea what I'm doing. You never know... I might be one of those people who has read many of the academic research papers that are freely available online these days. I might have spent time keeping up with developments in technology, treatment and even the minutiae of NHS funding options because this stuff really matters to me. I may even have some interesting opinions - it won't hurt to ask. That's your 2 second 'lift test' right there. If this is the only bit of this post that you remember, then we'll get along fine. What about anyone else? Any hints and tips for HCPs for the perfect first appointment? As ever, comments welcome below.